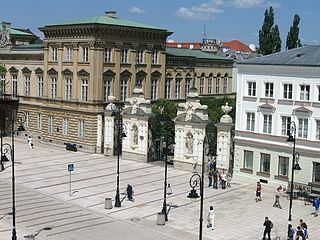 The conference venue is the Old Library in the central campus of the University of Warsaw. The campus is located in a historic area of the city, within walking distance from the Warsaw Old Town, a UNESCO World Heritage Site. The address of the campus is Krakowskie Przedmieście 26/28; inside the campus, ask for the Old Library. The venue is marked on the map below. For details of the social programme, go here.